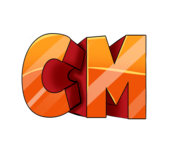 Activity stream for all registered members at CartelMC | Forums. yads replied to the thread Rad's Introduction. holsson replied to the thread Rad's Introduction. RadCrashMC has a new avatar. RadCrashMC posted a new thread. RadCrashMC replied to the thread It's been like two weeks since anyone posted. RadCrashMC set their occupation to Graphic Designer..
RadCrashMC set their location as Sydney, Australia. Maxxy rated Arne's post Bad Spelling in the thread It's been like two weeks since anyone posted. holsson rated Chxpter's post Bad Spelling in the thread It's been like two weeks since anyone posted. Dumbass rated Arne's post WTF in the thread It's been like two weeks since anyone posted. Chxpter replied to the thread It's been like two weeks since anyone posted. holsson rated Arne's post Disagree in the thread It's been like two weeks since anyone posted. Kibra replied to the thread It's been like two weeks since anyone posted. CryForWins replied to the thread It's been like two weeks since anyone posted.